Fiber Laser — Ramsey and Son, Inc. 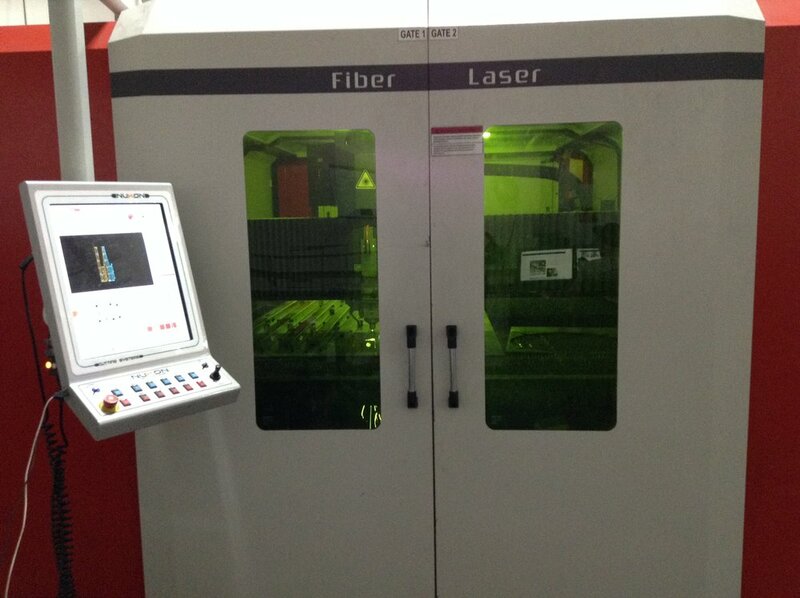 The fiber laser systems are some of the most advanced systems in the world for material processing. 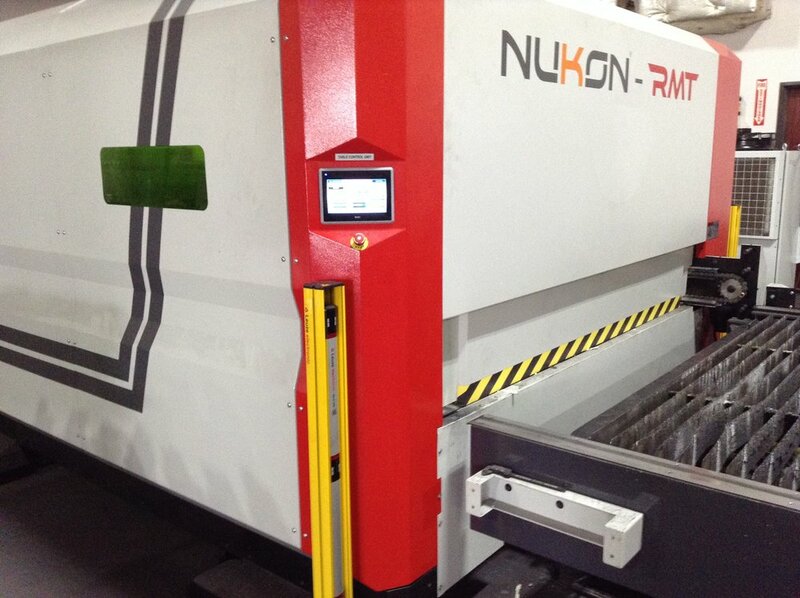 At Ramsey & Son Inc. we offer one of the largest and fastest fiber laser in town and on the west coast only rivalled to california with the similar machine made by Nukon. With the additions of sheet detection it provide a faster and more accurate cut. This saving us time and reducing prices for our customer; the previous equipment the loading of 3 sheets would take 8-12 minutes now it takes as little as 5 minutes. 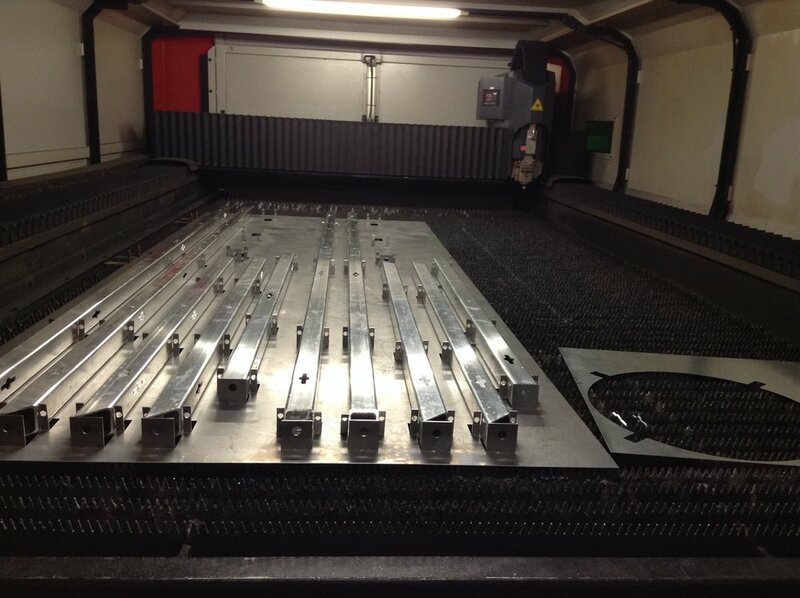 The largest Fiber Laser in Las Vegas cutting table at 13’X7’ with the capability of cutting up to 16’x7’. With this laser we can cut cold roll steel with zero carbon edge for your powder coating needs. With this laser we are capable of cut, brass, Nickel and titanium. Part etching on steel and stainless steel. Square tubing cutting up to 5”.